Steve Rogers. Britt Reid. Tony Stark. Do any of these names ring a bell? Okay…how about Peter Parker? Bruce Wayne. Here we go – Clark Kent! Yep…you got it. Superheroes, in their not-so-super everyday selves. 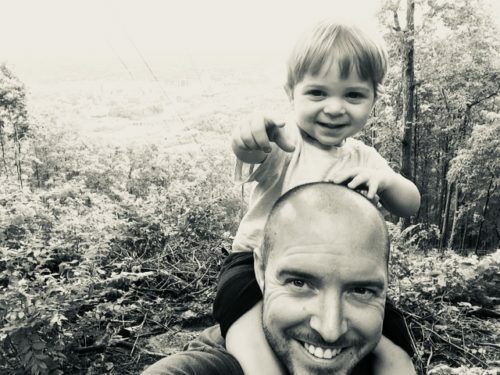 I haven’t given this much thought since the days of watching Clark Kent dash into a phone booth where he would transform from a bumbling geek into the Man of Steel, until a phone conversation I had last week with my son Jake. Eli, my four-year-old grandson has an unwavering love for superheroes, which now spans, oh at least two years. 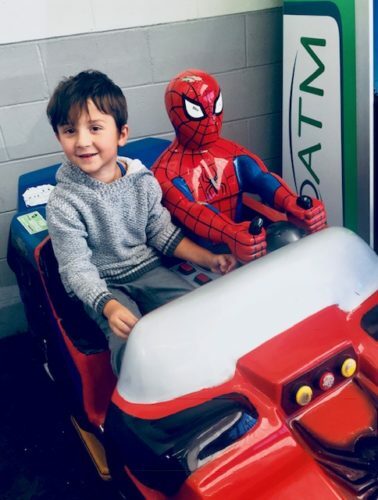 But the thing that caught my attention was when Jake told me that Eli has taken to not only learning all of the superheroes “real” names, but pretends to be them through out the day. Not Batman, but Bruce. And when he is Iron Man, he asks to be called Tony. 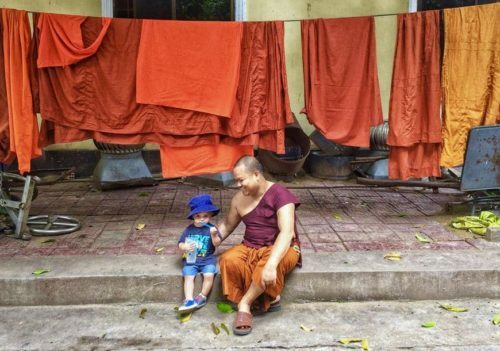 I liked that – that a four-year-old can recognize that even Super Heroes have to wash their uniforms. And it made me think about Jesus, the Ultimate Super Hero. I mean, He was God. But He made his entrance as a helpless baby, through a dirty barn and grew up in a po-dunk town called Galilee – a carpenter! I bet He got splinters and His mom reminded him to wear a coat. When it was time for Him to step into His three-year ministry before His death, people said, “Wait a minute! Isn’t that the carpenter’s son from Galilee?” He was disqualified by His humanity. He was just like us, even ordinary. It was almost like God was pointing to us, with all of our desire for pomp and position and saying, “You missed it!” Jesus is reclining at a table with sinners, He is crossing a lake to pray for one crazy lunatic that lives in a graveyard. He’s playing with kids. Then just when you think you know Him, He’s raising someone from the dead, healing the blind and casting out demons. Whoa! Super hero action! But what I love is He didn’t have to change costumes or assume a new identity. He was showing us that this is what following Him looks like. Sometimes thinking about what you’ll make for dinner, sometimes praying for someone to be healed – from sickness, addiction, depression or fear. It may be just taking the time to love and listen. Sometimes you feel like a Super Hero when you follow Jesus, and sometimes you feel like the loneliest person on earth. But when we allow God to use our lives in any way, at any time and He is glorified, you need nothing else on this planet. There just is nothing better. 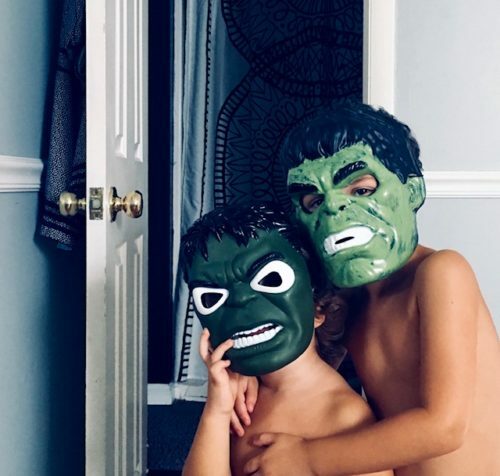 Eli and his brother Leo both have Hulk masks, and when they put them on I have to pretend that I am terrified of a four-year-old and a two-year old. I scream and ask them what happened to Eli and Leo and they whip the masks off with sheer joy shouting, “Here we are!” and I sigh in feigned relief. Even they understand that you just can’t sustain a Super Hero life for long. We need naps. Intuitively we know there’s more to this than what we see; there’s power, supernatural power just beyond our reach, but I think we also know there’s a price. They followed Jesus for the miracles, but when He challenged them in their faith, most walked away sad or mad. It costs, and He never chased anyone down. Eli might be Bruce Banner or Peter Parker today but he’s got it right. Though we all want to be a super hero, true heroes are made in the everyday grind of life. If my life is hid with Christ, then you will see Him, and His glory, no matter what I do. The task itself is unimportant. I’m just Robin (no relation to Batman) but He is the biggest and best Super Hero ever; Mighty to Save, to Rescue and Redeem – and to use just ordinary folks like us. Bruce Wayne? Definitely NOT Peter Parker. Four clicks and done. The directions to delete a Facebook account seemed simple enough. But alas – by the third click, the plan was unraveling. Why? the Facebook folks wanted to know. A list of reasons were displayed. I quickly scanned them, then clicked on I spend too much time on it. Oh? How about we send less emails, those pesky Friend requests and reminders to post, to wish someone I haven’t seen in six years a happy birthday. No, that’s not enough I thought. I scanned further down. I don’t have any use for it. Yes! That’s true too! A long detailed reply popped up suggesting I should be a better friend to my Friends. By now I was getting annoyed. This was supposed to be easy, clean.. instead it was turning into a sloppy break-up. I hovered above the Deactivate Account button and clicked. It’s over, Rover. But…the word “Deactivate” was somehow unsettling to me, like when you tell the guy “maybe we can work things out down the road.” No, I wanted it over. I searched some more. Turns out there’s a difference between Deactivate and Delete. I wanted Delete. So I tried to sneak back onto my deactivated Facebook page and instantly a “Welcome back to Facebook!” message popped up in my email. AAARRGH! “Susan? Cindy? Billy? There’s someone here for you! ” And an avalanche of raw energy would burst through the door, spilling out into the yard where we would play until the lightening bugs flickered on. It was pure and simple. We fought, we made up and fought again at least three times a day. We were friends. I entered the world of FB about two months ago. I had launched a non-profit called Higher Ground Outreach and Facebook seemed like a logical platform for it. But I had to first start with a personal page, so I gingerly stepped into the world of Friends and Likes and Unfriends I’d heard so much about over the years. “We’re Facebook friends,” someone would say to explain how they knew someone they didn’t really know. “Oh.” It seemed a tad silly but I would be silent. I did not belong.
. But here I was now, one of them. Instantly the friend requests came tumbling in, My first thought was: Where were you guys when I was in eighth grade? And I noticed that a lot of my friend requests were from men named Mohammed. Okay I had to do some weeding. Soon I was staring at photos of people I had known and loved who had disappeared or people I didn’t know well, at all, but now befriended me – I mean Friended me. It was an odd mix of joy (reconnecting with one of my favorite girls from our Pawtucket church), wonder (I saw a side of my little sister that was clever and hysterically funny) and then downright depressing. Friends I thought I knew were far from where I thought they were. I grieved the disappointment, but I couldn’t really even grieve because every emotion on Facebook is about two inches deep. Friends who once gathered in my home or around a fire pit, giving thanks and praise to the God who rescued us now seemed to be worshipping around a strange fire – money, little league, politics and position. Not bad things, but where’s Jesus? It reminded me of those Where’s Waldo books that challenged you to find Waldo in the midst of ridiculous chaos and confusion crammed into every page. I’ve had to take a hard look at the busy-ness of my own life, the subtle nagging feeling I’ve had over the last few months that, despite doing “good” things, I am missing something so important, like the sleeping baby in the car seat. I felt justified in my good works. I even hung the Jesus sign on it. There! But I began to see the slippery slope. I was using His name to endorse my own will. If Jesus came back and walked the earth again among us, I’m pretty sure He would pass on social media. He doesn’t need it. In fact His true friends were not many as it turned out, even though He told us, “I call you friend.” I think it’s because He wants us to follow Him, not the other way around. And He knew it would be hard, that many would walk away sad, like the rich young ruler. I wonder what that guy did next? I bet he bought something he didn’t need or maybe started a non-profit or a big charity. Yet in his heart, he must’ve known he missed it. But the scariest thing is, I think once we start to walk away, the cross gets smaller and smaller, until it’s not even on the horizon. You can still quote the Bible and bless the food, but your heart is stone again. “Come to me,” Jesus said. Not now, too busy. God help us. 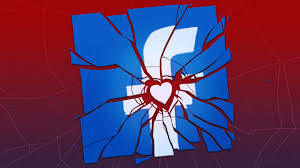 When I deleted my FB page, I had 335 friends. Not bad for a short time. But at least 325 of those friends were gained with a click and lost with another. “Life’s more fun when you live in the moment!” Snap Chat boasts. But are you really living life or posting the parts you want all of your “friends” to see? It’s hard to be in the moment with your phone in your hand. Come to me, Jesus calls. Friend. Stay awhile and rest. He will even give you real friends, maybe not a lot, but what you need. Bear one another’s burdens, He tells us. And when I can’t find just one, when no one will come out to play, He is there at the door, knocking, even after the fireflies come out at night. I just have to be able to hear Him, then go and open the door. The pain awakened me. My feet were throbbing, and the ache reached up to the back of my knees. I lay still trying to figure this out, then realized as I readjusted my body that my back, neck and head hurt too. I remembered swimming in Nantucket Sound a few days earlier. God am I that old? I sighed and lifted my pounding head from the pillow, slid out of bed, and limped into the bathroom. I can find the Tylenol and open the child-proof cap without even being conscious. It wasn’t until that evening, when my clothes felt like they were on fire that I realized I was sick, not just sore. Then the shaking chills. I fumbled around for a thermometer. 101.7. I gulped some more Tylenol and went to bed. It was a restless night but I awoke free from fever, although not from the pain. I called my doctor. I do? This was my first thought. Because historically I am pathetically unaware of my physical well-being, until my body just drops and quits. 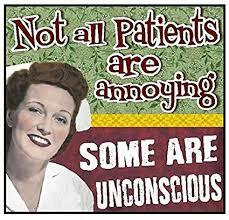 I’m a great nurse for you but like most nurses, detached from the signals and sirens going off inside my own body. Someone had to tell me when I was pregnant, when I was turning yellow from eating bad shellfish, when I should consider that I might have a concussion. I don’t like to spend time inside of myself. It just never seems beneficial. There’s a plus side to my ignorance. 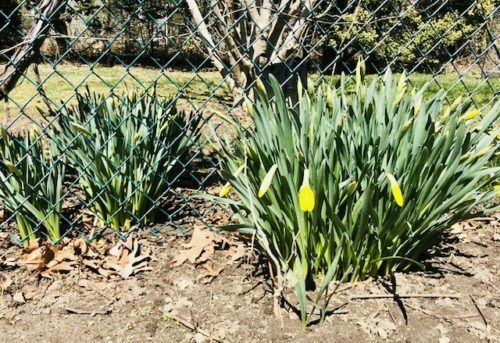 My husband marvels at my ability to deflect “vain imaginations,” my resilience under pressure and a forward drive that prevents a morbid preoccupation with inward scrutiny. I stunk at meditating in the 70’s. At a yoga class I took a few years ago, I started giggling then had to leave when the instructor told us to be “mindful.” It sounded like Dali Lama meets Miss Manners. But there’s also the flip side. 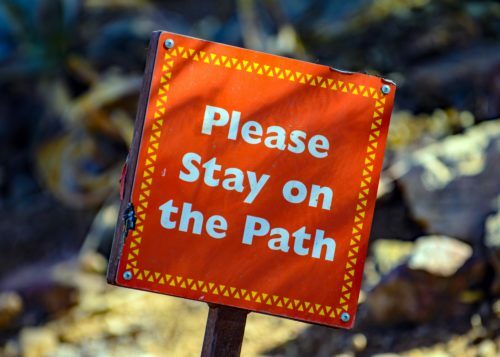 A lack of self-awareness can lead to self-deception; perhaps nothing evil or even un-Godly, but I can easily slide into my old comfy self-reliant shoes – the ones with well-worn scriptures and broken-in prayers. It startled me – it was a warning, just short of a rebuke, and I knew I had to spend some time looking inside, and at how the inside was manifesting outside. I had to take my spiritual temperature. Charles Finney wrote in the 1850’s about negative morality – how Christians are inclined to settle for just being good people. We don’t curse, don’t smoke, don’t hurt others. We are nice Christians, assimilating into the mainstream of life, but if we are just good, not sanctified, we stink like last week’s garbage. We become hollow trophies, relics of dead religion and social injustice programs – applauded by mankind and the devil. Detestable to God. What was my remedy? Repentance first. I had been “esteeming the things of God lightly” – foremost, my relationship with Him. I had been rushed, distracted, malnourished from “lite” prayer, lazy grazing in His word, genuflecting before His throne room of grace. I felt ashamed. My temperature was lukewarm at best, but in the public eye I spoke eloquently, laughed easily and even loved well. But was it His love, or mine? Could I have loved if they hated me or my Jesus? Or if I speak Truth, not just what someone wanted to hear? Can I rejoice in suffering, when what I think is rightly mine, is taken by a just and sovereign God? I knew all this, but I had begun to take it lightly. We are pulled from the flames of hell, redeemed and set free by a brutal death on a cross and clothed in heavenly righteousness. How can I ever take that lightly? A Love far greater than anything I could return? Yet I was treading softly down the well-worn path of neutral Christianity. My worship was indeed sick; not dying or dead but just sick enough to make me useless, just like the fever that haunted me for six days, wearing me out, weakening my reserve. I still functioned, but I was hollow and ineffective. Salt without saltiness, a flame without warmth. I thank God for His warning, that He loves us enough to say, “STOP!” Since that day, I’ve noticed all the places where I can worship Him “in spirit and in truth,” not just in lip-service and the “dont’s”. At work, when a patient’s call light is on again, at home, when my husband who never asks needs to know how much I love him, or looking at the night sky studded with every star my God has named. Funny – once I started looking for places to worship Him, my joy returned. Playing the piano, walking the dog, talking to Jesus before I close my eyes at night. I feel renewed, and so very loved. Thanks, Lord, for pulling me back in, close to You. Will finished his cigarette and took one last look around his yard, his house then grabbed his cooler and shoved it into the back of his black pickup and rode off. I could see him through my sunroom window where I pray every morning, through the thin layer of cedar and maple that separates our two homes. When you live so close, you either love your neighbor or, if you’re a Christian you “have to” love your neighbor. My husband and I did both, for six years, and in return I think Will liked us and may have even been a little sad saying goodbye. Now my own life is changing, that much I know. In my excitement, I’ve started way too many things at once and I wake up exhausted. I’m not even working. “Hi honey! What did you do today?” my husband asks when he comes in from a day of building things, caked in saw dust and sweat. “Oh, I was working on the non-profit/ book stuff/coaching website,” whatever the case may be. And he nods respectfully even though I could be creating Frankenstein in the basement for all he knows. In a way I wish I was because I’d have something to show for hours of labor each day. But nothing. Just dreams that make more dreams. Will was the best-ever neighbor. He watched our house when we were gone, rescuing all of my plants on the sun porch last winter when the temperature hit a numbing six degrees. He even watched our house when we were home, sending my husband text alerts about suspicious activity in the street. Once he saw me walking my dog at night past his house. “You should be careful here at night,” he warned. “I have a big gun if you ever want to borrow it,” he offered with a smile. Now looking over to his empty house is like looking at a corpse in a casket. He’s not there so it’s just a house, swept clean and echo-ey. Last night my husband and I prayed for good neighbors, maybe ones that we could point to Jesus. We tried with Will, inviting him to church many times. “The church would burn down,” he responded. Or he would wave his can of Budweiser at us and yell, “I’m too drunk!” But I have hope for Will as he heads to his new home high in the Vermont mountains. God speaks through His creation and I believe our good neighbor will hear. I’m in a season of transitions and I’ve always had a hard time separating things. Same with when I lose someone close. It’s like the whole weight of everyone I’ve loved and lost bears down on me and I’m crushed. 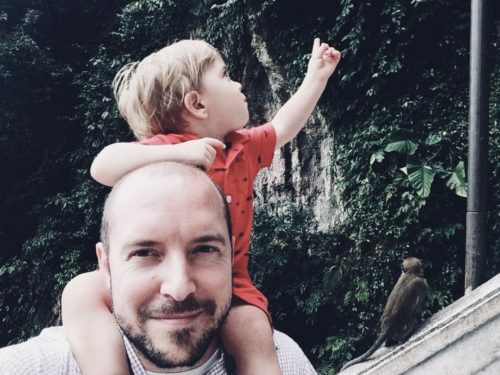 My son Miles and his wife and children just packed up their lives and left their home of seven years in North Carolina, to begin a new life in Malaysia. “Malaysia? ” people say, with their faces twisted up in shock. “How long are they going to live in Malaysia?” I think only God knows that answer. It’s far, it sounds crazy but that’s how following Jesus often looks. And they are all ecstatic. They visited us on the Cape before they left. And to complete my joy, my other two grandsons were here at the same time. Balls, trucks, beach buckets and books lined every foot path inside and out. Joyful chaos. Then it was time for goodbye. As they pulled out of the driveway a small hand pressed against the back window, then they were gone. I know now why my mom hated goodbyes. A knife, a grenade and three crayons. I move methodically around the room, eyes to the floor that is strewn with the last remnants of my grandchildren’s busy worlds. The big stuffed teddy bear that Leo dragged around the house and yard with him had to go back in the Celtics can with his other buddies. Pipe cleaners, Popsicle sticks and the glue my granddaughters used for the odd jeweled raft they created that was semi-stuck to the small play table, were sorted back to their shoeboxes. I sighed. These kids utterly wear me out in such a glorious way. The bubbles go up high on a shelf and I turn to scan the room, still and quiet. Curious George, missing an eye, winks at me as I turn and go back to my grown-up world. I wish my life was as easy to sort as that play room. 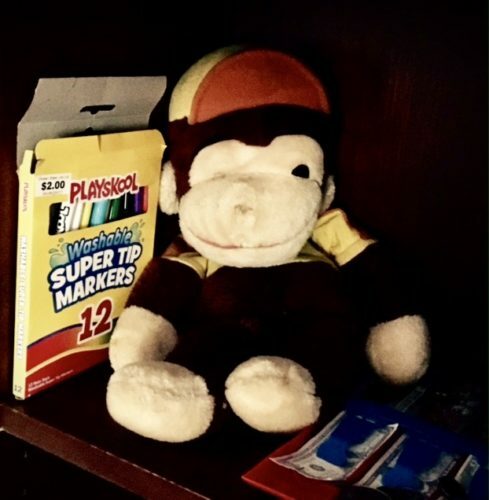 Career up on a shelf, people close to my heart that I know God wants me to spend time with – maybe they can sit next to Curious George and chat while they wait for me look up from my laptop. The book, speaking invitations stacked neatly in predictable color-coded boxes. Just yesterday I stared at all the messages I had flagged in my mailbox, wondering why they were so disorganized and then it hit me. They were organized by color flag. Only I had picked a random color each time I flagged one. “Oh purple looks cute! I’ll flag that purple!” Not a clue that there was an opportunity for some order. But maybe, just maybe, I am exactly the way God intended me to be – the same girl that danced on the desktops to break up the monotony of a 2nd grade classroom. Jesus is probably shaking his head at my mess and thinking it would be a good thing if I could sort it all out a little more, and He would help me, no doubt. “God is not a God of chaos,” I’ve heard over the pulpit more than once. And it’s true. But I think He’d rather have us doing something, than just being like Will’s house. Empty and echo-ey. Renewed day by day. I like that, no, I need that. Yes, there is much to do. Maybe Jesus can help me color-code my dreams. Or we can build a jeweled raft and try not to glue it to the table. “Hi honey! What did you do today?” my husband will ask. And for once, I’ll have something to show him.